Though today I make reasonably good food, I have maintained that this journey started much later after marriage. Few recipes, cookbooks and people helped me along the way like eggless baking recipes from here were my starting point, for Indian recipes I turned to my mom and one of the first cookbook I explored was my own recipe manual (Basic Food Preparation) from college days by talented stalwarts like Usha Raina, Vinita Narula etc. These teachers taught magic of cooking within the sphere of science and nutrition. Honestly speaking I never appreciated the tips and recipes then but now I seriously do. The recipes I made from this like peas parantha, peas soup and jalebis were my best efforts and given a big thumbs up by V. Over years I have made them several times. 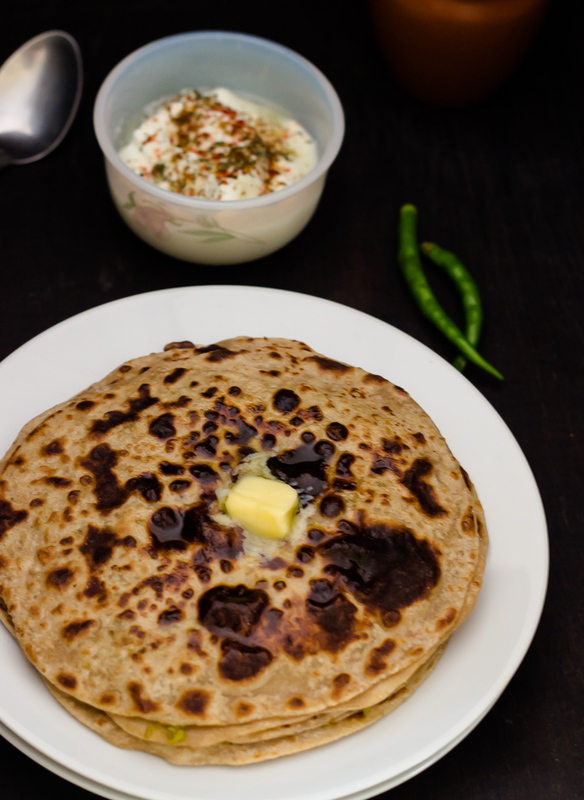 Today sharing the peas parantha recipe from the book and I hope you enjoy it as much as my family does.